Submitted by dmsnyder on June 7, 2015 – 2:37pm. 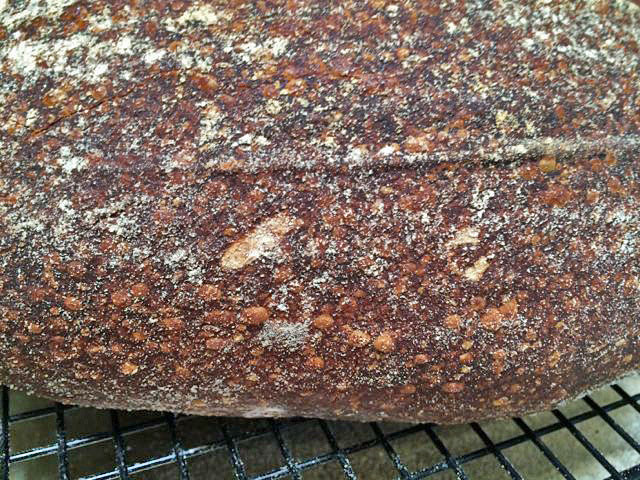 Last week, I baked Hamelman’s “66 Percent Sourdough Rye.” Searching my TFL blog, I found I hadn’t made this bread since 2008! 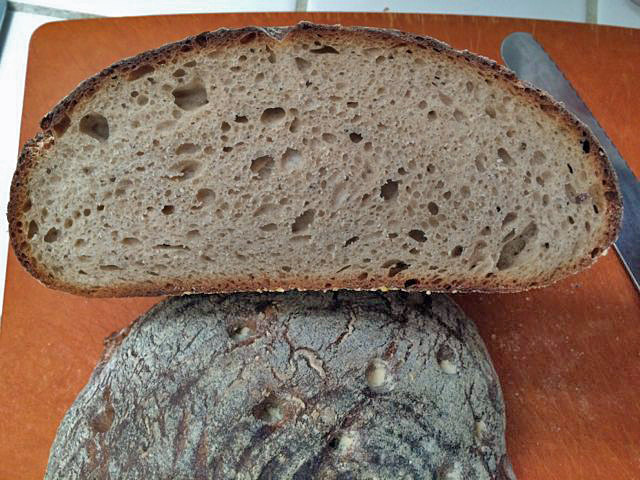 This bread is leavened with a rye sour fed with Medium rye. It is interesting to make in that the dough handles like a high-percentage rye (very sticky with not much gluten development) yet the rye flavor is not dominent. It does have the advantage, shared with other high-rye-percentage breads, of brief bulk fermentation and proofing, which makes it a quick bread to make, assuming you have elaborated the sour the preceding day. This is a mellow, tasty, “all-purpose” bread, to my taste. Good fresh and toasted. It’s a great bread for sandwiches. 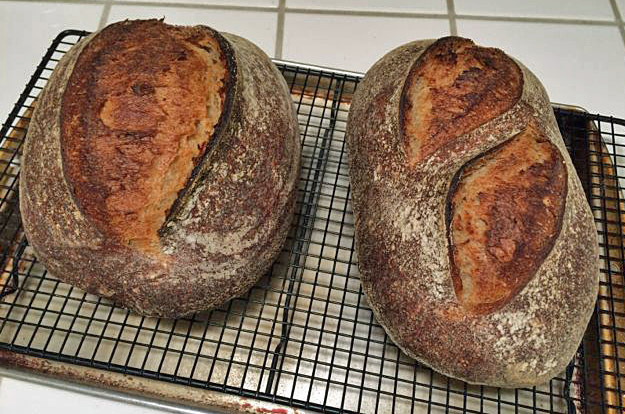 Well, I had made way too much rye sour for that bread and had a lot left over which provided a perfect excuse to make Hamelman’s “Pain au Levain with mixed sourdough starters.” This is also a bread I had made before, but not for some time – not since 2011. 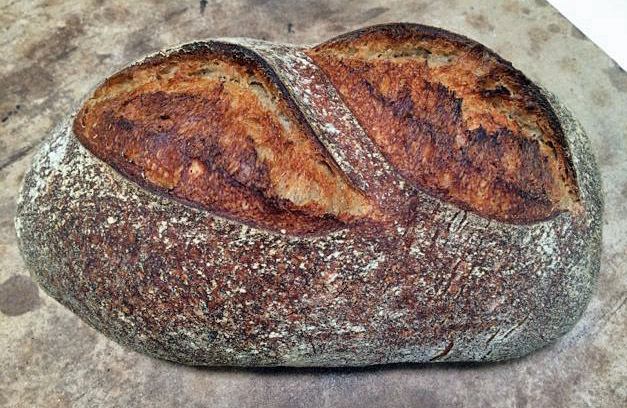 As the name implies, this bread uses both a wheat flour fed liquid levain and a rye sour. But it is basically a white bread with 84% bread flour, 8% rye (all in the sour) and 8% whole wheat. This formula is also remarkable for using only 16% pre-fermented flour. 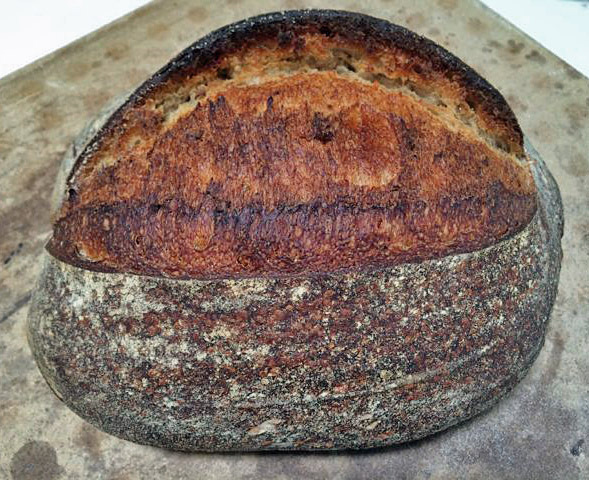 Yet, with that mix of levains, the bulk fermentation is very vigorous and takes no longer than Hamelman’s usual 2.5 hours for his Pains au Levain, and that is without any commercial yeast. I chose to cold retard the formed loaves overnight (about 16 hours, actually). They had about 45 minutes of proofing before refrigeration and about 2 hours at room temperature before baking. These loaves are still cooling. 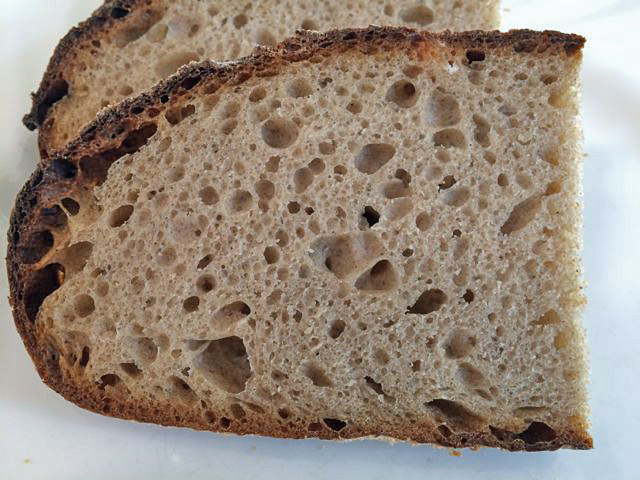 When I slice them, I will add a photo of the crumb and some tasting notes.